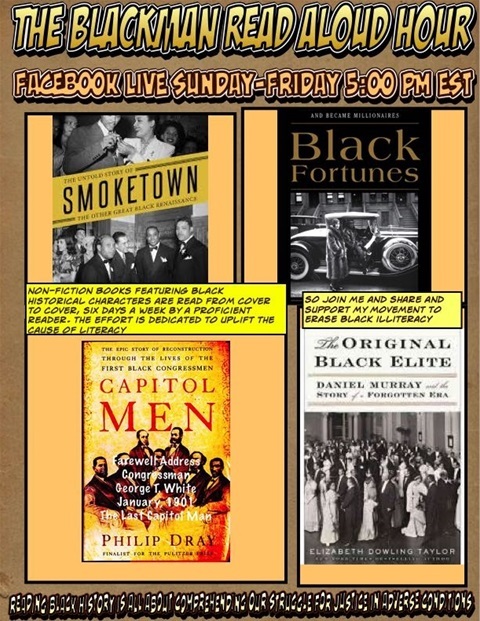 On Sunday through Friday, via my Facebook Page (Joseph Shelton Hall) and Facebook Live, I will be reading historical non-fiction text related to our majestic black history. 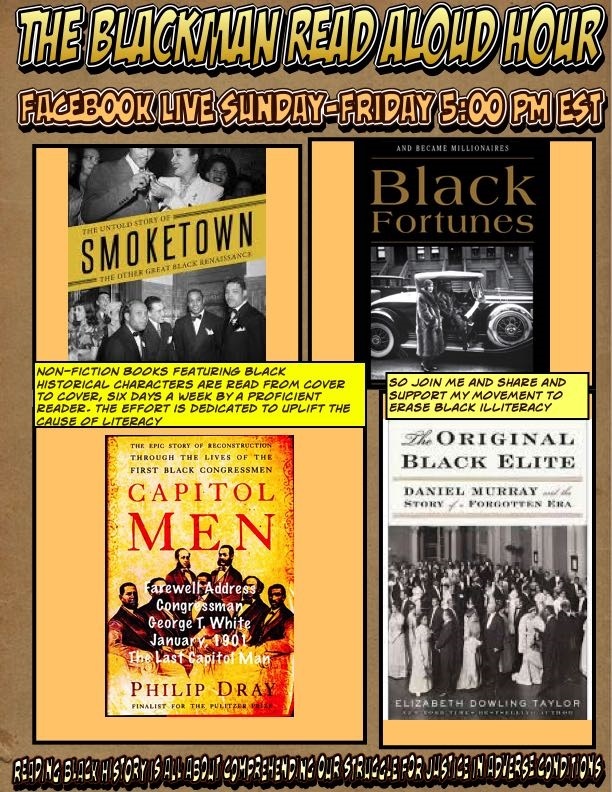 These are 4 of the titles that I have already completed Smoketown, Black Fortunes, Capitol Men and The Original Black Elite. All of these books tell stories that should never be forgotten about our ancestors struggling against the tide of racist Jim Crow policies. However, for an individual unable to read these stories are closed off and that history is forever blanketed by the ills of black illiteracy. The books are read in one-hour chunks so a person can receive 6 hours of verbal black history a week, 22 hours of verbal black history a month, and 261 hours of verbal black history a year. That is similar to receiving multiple college courses in our black history via this social media platform. Please join me today at 5:00 PM EST. 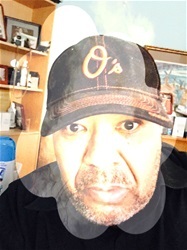 I am the Blackman who reads aloud and I am asking for you to consider making a contribution to my Go Fund Me Campaign so that I can expand this program beyond its present scope. Simply click on my Go Fund Me Campaign link and contribute to my campaign to erase black illiteracy as I spread the historical knowledge of our history. I am The Blackman Who Reads Aloud, Join My Movement To Erase Black Illiteracy.